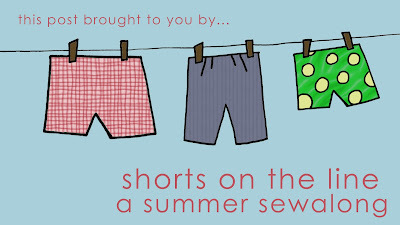 It's my last post for "my" week of Shorts on the line and I'm SO happy it's closing with Christina from 2 Little Hooligans, who's here today guest posting for the Shorts on the Line sewalong! I love Christina! It's true, we chat about sewing, sure, but mostly about "our show" the bachelorette/bachelor. No lie. It's fun. Before I understood the whole blogging realm and started REALLY sewing, I made Christina's casserole carrier (mine here) and I've also remixed her Hooded Vest Tutorial into a boy Collared Vest. 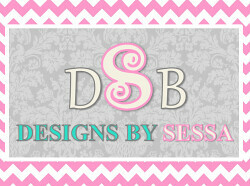 And if I had girls, her blog is the one I'd find inspiration on! I guess you could say I'm a groupie, ha! Mostly, I love Christina, because she almost ALWAYS asks me 'how i'm doing' and for some reason I think that's the sign of a true friend, they care enough to ask. Okay, enough blabbing about Christina's awesomeness.... Take it away, sweet friend! 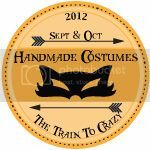 I want to start off by thanking imagine gnats, Designs by Sessa and small & friendly for inviting me to be part of Shorts on the Line. There have been some amazing designs, tutorials and reviews shared over the past few weeks and that Flickr Pool...umm, AMAZING! 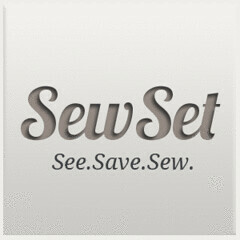 I am so honored to be part of such a great series with so many amazing sew-ers. 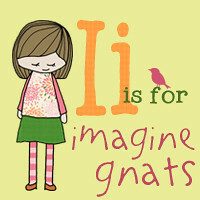 For my part in the series I was given the Little Smarty Pants Pattern from Favorite Things Pattern Designs to review. The Little Smarty Pants pattern comes with two different lengths of pants that can be made, a capri pant length and a Bermuda short length. The pattern also allows you to add front pockets, tabs on the sides, belt loops on the waistband or some pockets on the back of the shorts. I like that you are able to customize the shorts to meet the needs of your children. And you can make a bunch of different style shorts with just one pattern. The pattern comes in a large range of sizes. It starts with a size 1 and goes all the way up to a 11/12. How great is that?! I decided to make the Bermuda shorts for both of my girls and just use different designs for each. With the tealish pair I added the front pockets as well as the back pockets. With the other plaid pair I went without any pockets and also decided to do without the belt loops or tabs since I felt neither of them would be used. I followed the pattern for a size 3 since that is the size they usually wear and by their weight it was the recommended size. I have to admit that the shorts were actually way to big on them and wished I would have made a smaller size, but since I sew while the kiddos are sleeping I was not able to try them on them until it was too late. You can see in the pictures below that I had a hard time keeping their pants up while taking photos and they definitely are too big to be worn without them falling off. So I would recommend making at least one smaller size if your kiddos are an average sized child. I couldn't find anywhere on the pattern where it told the level of difficulty but I would say it is at least an experienced beginner level. You do not need to add any zippers or buttons but there were parts of the pattern where I was a little lost and had to really think my way out of it, mostly referring to the front pockets steps. The front pockets were the most challenging part for me. I think I did them the way set out in the instructions, but I can honestly say I'm still not sure if I did. All I know is that they function as pockets and they look cute and really that is all I care about. The back pockets were really easy to make and I actually learned a new and quicker way of making back pockets. Always a plus in my book! The waist band of the Bermuda Shorts as well as the Capri pants are the same. They have an elastic waist in the back with a flat front. I have to admit that is my most favorite style of pants as they always fit my kids best. I like a pair of pants or shorts that are easy for the kiddos to get on and off by themselves and these definitely are. I did find the instructions a little vague at times and it didn't really have set instructions on what length to cut the elastic for the back of the band. It did state the length of elastic that they used for a size 4 but that was all I had to go by. So I would recommend measuring your kiddos waist before you attach the waist band to the pants just to make sure they will fit properly. But despite the fact that they didn't fit my girls, I still really love these shorts and I will definitely be making more for years to come. And actually, I plan on lengthening them to a pants length for the fall and winter. I really do love the design of them and they do look super comfy on the kiddos. So once I get the sizing right and play around with the pockets a little more these will be my "go to" pants and shorts pattern. They sew up rather quickly, but of course take a little longer when adding the pockets. I would say that I made both pairs in just a few hours and that was with most of my time spent trying to figure out how to make the front pockets. So they are definitely a nap-time sewing project. I did try them on my son just to see the size difference and they fit him much better. He takes a size 4 pant size. The waist was still a little too big on him but with a shorter piece of elastic they would have fit him perfectly. So in all, I would definitely recommend this pattern to an intermediate level or advanced beginner that can work their way through a pattern with little help. The shorts are super cute and really are an easy sew once you have made your first pair. Thanks again ladies for asking me to be part of such a fun series and for all the great inspirations we have seen the past few weeks!